By a / March 8, 2007 / . 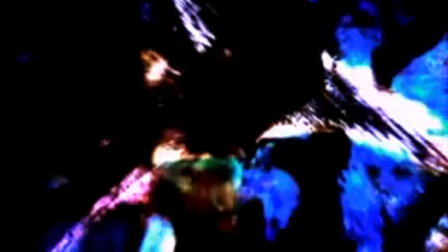 Film still: “Black Ice” by Stan Brakhage. Arnait Women’s Video Workshop, Michael Bell-Smith, Stan Brakhage, Thorsten Fleisch, Jake Kennedy, Kurt Kren, Peter Lipskis, Guy Maddin, Collin Olan, Paper Rad and Wolf Eyes, John Price, Joyce Wieland. A cinematic tribute to William Bentley, a Vermont dairy farmer who pioneered the art of snowflake photography for 46 winters (1885-1931), proving that no two of his 5381 specimens were identical. This film contains about 1500 examples (fewer than the average snowball), showing the incredible variation of design in nature, while producing the effect of an “organic” hexagonal mandala in a state of continual metamorphosis. A hand-processed silent film created on a bitterly cruel winter evening. In a freezing bathroom with a single candle and a roll of very old 3 A.S.A. print stock – it became through the alchemy of light, silver and colour chemistry – a hazy, abstract prayer to the warmth of the sun. Colonel Canuck is a screen-capture video of a “dialogue-event” in an online environment called Habbo Hotel. Colonel Canuck, the protagonist, is an avatar and, indeed, exemplar of maple-syrup-like Canadian-ness. The video shows the Colonel entering a room in Habbo and then proceeding to riff (aloud) on all things Red Leaf Nation. Many of the Colonel’s references are lost, however, on his unfortunate, Euro-set listeners. Members of Arnait Ikkajurtigiit utilize the “new” technology of video to joyfully re-enact an older technology: the ritual of Qulliq or lighting of the seal oil lamp. They tell the story in song. A startling five-minute tour de force inspired by the work of the eponymous symbolist painter and set on a steam train hurtling across a surreal winter landscape.